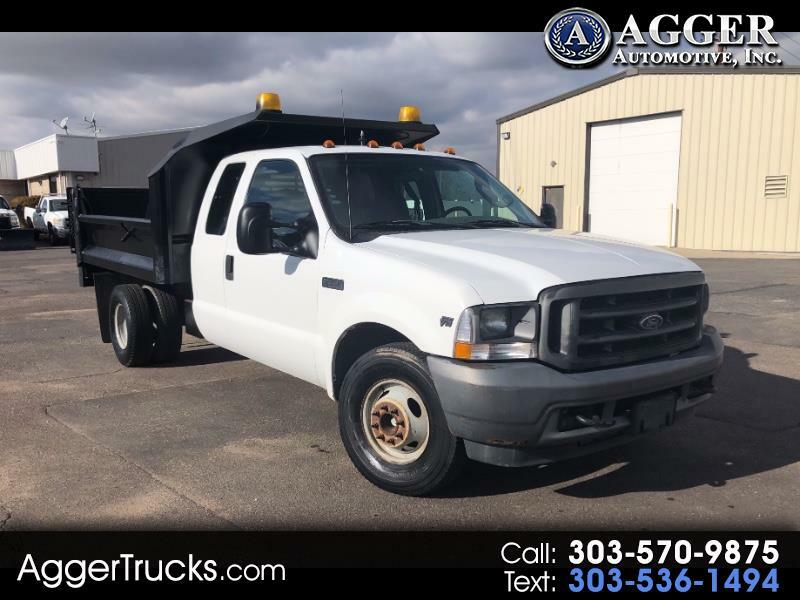 Used 2003 Ford F-350 SD SuperCab 162" WB 60" CA Lariat for Sale in Denver Commercial Truck CO 80110 Agger Automotive Inc.
For sale is this 2003 Ford F350 Super Cab Landscape Dump truck which is a one owner vehicle from the City of Broomfield, CO. This dump truck comes equipped with a 9ft dump bed (dump controls inside the cab), Tommy Gate hydraulic lift (exterior controls), dual rear axle, extended cab, front bench seats, folding rear seats and clean title. This dump truck has been fully serviced, with service records provided upon request.